If you’re looking to cut calories in your holiday baked goods, our nutrition expert, Dr. Liz, recommends giving XyloSweet a try. A xylitol-based sweetener, XyloSweet is unlike other artificial sweeteners because it contains all-natural xylitol — nothing else. Stop by Nugget’s one-stop-shopping gift card kiosk. We’ve got more than 50 retailers to choose from, including mall favorites Macy’s and Nordstrom, and eateries including Applebee’s, Olive Garden and Cold Stone Creamery. Prices valid 12/9/09 - 12/16/09. 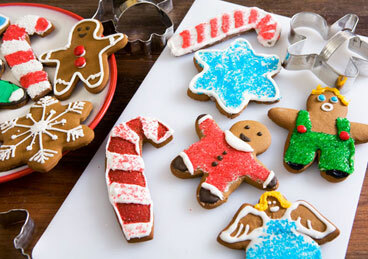 Try these cookie recipes for a unique twist on holiday baking this year. Pick up a tasty assortment of gifts for one low price! From comforting coffees, teas and cookies to fine wines, salamis and chocolates, these holiday baskets come in five varieties and range from just $29.99 to $99.99. 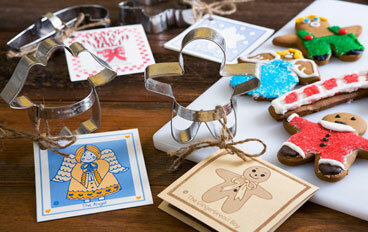 Pull out the mixer, cookie cutters and Grandma’s recipes – it’s time for the busy baker in all of us to shine! Spruce up some of your recipes this season by adding a few healthy ingredients. Nuts: From almonds to pistachios, all nuts offer a wealth of healthy nutrients, such as vitamin E and selenium, crucial for protection against damage that occurs from air pollution and UV light. Stir ½ cup to 1 cup into cookie, cake or quick bread recipes. Butter alternative: Sure, butter makes goodies taste great, but you can still get the same flavor with fewer calories and less saturated fat by using a “faux” butter. Substitute half the butter in your recipe with prune puree (available in the baking aisle). New sweetener: Give some of the new sugar substitutes like Xylosweet a try to help cut back on added sugar (helpful for those with diabetes or who are watching their weight.) These alternate sweeteners are tasty and safe for all to use. Follow manufacturers’ recipes. Egg swap: For those needing to curb cholesterol intake due to heart health concerns, substitute two egg whites for one whole egg. You can also use egg substitutes for most recipes. And for an added health boost, use eggs with omega-3 essential fats. 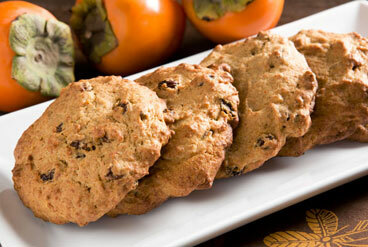 Persimmons & cranberries: Try a new recipe with seasonal fruit – fresh or dried. Persimmons and cranberries pack an array of nutrients such as potassium for healthy blood pressure and antioxidants for cancer protection. These tasty fruits do well in cookies, quick breads and cakes.